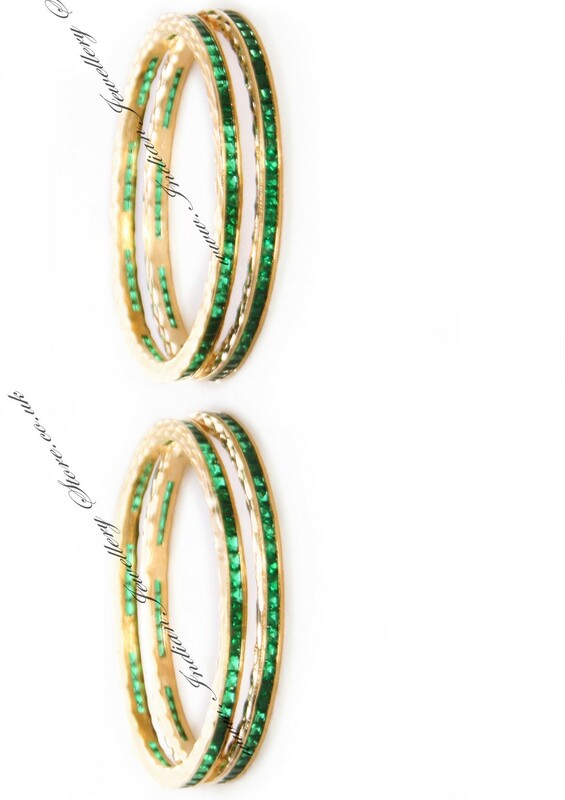 1 Stunning Indian bangle in 22k gold plated plate & bottle green. Set with square stones. 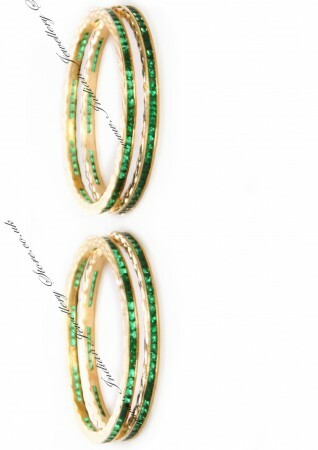 Size: 2.4, i.e 2 & 4/16 inches inner diameter (small). Bangle thickness (aprox max): 0.4cm. Indian Jewellery Store LOVES this product.